Home /E-mail Marketing » Email Marketing Tips: What To Do If Your Unsubscribe Rates Are On The Rise? According to Experian, 60% of marketers do not let customers choose the type of email they want to receive and only 30% let them choose how often they receive correspondence. To avoid customer rejection and decrease unsubscribe rates, you need to make sure that every message you send proves its own relevance and value (and that the customer understands why they are receiving your message in the first place). It is important for customers to choose the types of emails they want to receive from you, as well as the frequency. You should also carefully weigh the pros and cons of single opt-in and double opt-in to your emails. With a single opt-in, a subscriber will not have to confirm their email address after they give you their email address. A double opt-in requires the recipient to click on a confirmation button or link after you have emailed them. 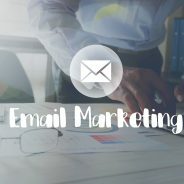 While a double opt-in results in a slower growth rate of your email database, it does offer a better quality list and the opportunity to immediately connect with someone who has subscribed to receive your emails. To reduce your unsubscribe rate, you should segment your target audience. This way, you will be able to tailor your messages and promotional items to information and products that are more relevant to them. If a person is receiving targeted communication about things that interest them, then they are much less likely to unsubscribe from your emails. Creating great content is the last tip to reduce your unsubscribe rate. If you are putting in an effort to create engaging and entertaining content, then you will not only be able to build relationships http://www.wsioms.co.za/with your readers but you will also reduce the rate at which people are opting out of receiving emails from you.